awards awardstags yay!!! Its Award time !!! 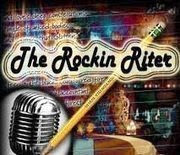 Ok.Its already December and award time on my blog.I am going to give awards to my fellow blogger friends.I would like to thank Ani for giving the rokin riter and blogging friends forver award.And Divvu for those beautiful awards.Ok lets start. This award is given to bloggers who impress people with their writings. Sameera : I got to learn a lot from you .So this is for you. Rajesh:You deserve this for your impressive writings. Asbah:Hey islex .. see this is specially for you girl...you rock girl. Anurag:I have said time and again this guy has some talents and skilled with great writing . Sandeep:Another gem on a crown ...a great friend of mine and mussadi man creator ..this is for you. 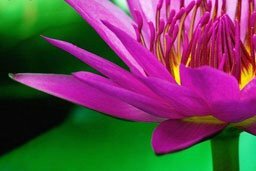 Akshat: a new blogger who is talented with really good writing skills.I was impressed after reading his first post ,so i decided to give this to him.Enjoy!! 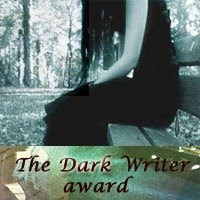 This award category is for person who writes dark work which includes dark poems and stories. Pankhuri ,Keshi ,Trina and all other girls on my blog list. Enjoy!! This award are given to people who write posts that are thoughtful or thought provoking. The Lover: his posts are really thoughtful. Mehreen:She writes well and her recent works were pretty good and she deserves this.. girl you rock!! Pratibha:her poems are thought provoking ...she is brillinat when it comes to poem and she deserves this. Riversoul: his works are great . Ani: i digged her past few posts from her blog and decided to give this to her. Lena: girl , i should say that you work has impressed me a lot ...especially your inspiring and thought provoking posts.... that i read few days back. Mona: for her wonderful and thoughtful poems. Sandeep : I give him for the reason every one knows .He is the creator of the famous Mussadi man series.He comes up with his new creative ideas like mussadi man and other one of sandeep malan. Karthik:Read his blog and you will knw why i gave him this award.I remember reading a discussion like post on his blog which was based on a good topic. Pankhuri:She is amongst my youngest blogger friend.And another creative blogger with all her paintings,photos and sayings .This is for you girl. This award is given to bloggers equally talented with writing poems,stories, essays and writings of other forms. The Lover:Many bloggers might be knowing him.Check his blog for more of his posts. Mehreen:She is a talent hub.She writes poems,stories and thought provoking posts like that for AIDS awareness. Priyanka:She is blessed with great poems and stories.She is an adriot ,do you guys agree?? 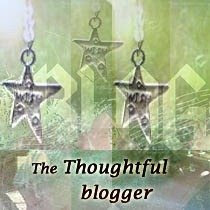 Karthik:Another blogger with good writing skills and do check out his blog for his poems and thought provoking posts. 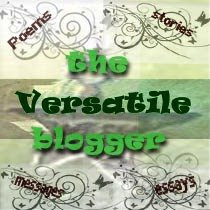 Sameera: She writes great poems and stories especially her short stories are great. Usha: she comes up with great ideas and nice posts and poems. Ok fine,done with award giving .Now an important announcement Writers Lounge has arranged a contest called "Rain drenched Lounge" and i guess you guys can take this as a challenge and do participate in it. if i have missed out any ones name then let me know . P.S..Exams over???? ?If not then when??? Never thought to get ANY award on blogs !! Can i plzzzz (*pleading*) copy these award images on my blog ???? u see, like any kid, i count my awards and comments daily !! 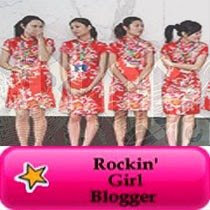 I gonna rock ur blog! or at the blogger world! ehh? Really, appreciate it. Didn''t know that a blogger will present an award to a fellow blogger! ...Seems fun, really! You really think so high of my Blog? Btw, forgive my absence from the writers lounge.... Xms going on, so can't get my hands on my pc to post. How sweet of ya! :) tnxx alot Solitary! ty ty ty ty ty..
cant thank u enuf Ste..
a big congratulations to u as well as all who are awarded by u.
iss nannii munni bachii ko yeh award bhut pasand aaya..!!!! thankyou thankyou :D i am over joyed! 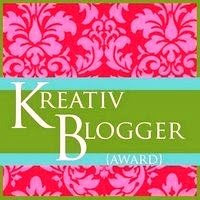 Hello, I am trying to find the roots of The Versatile Blogger Award, so I am looing for the posts with the earliest notion about this award. Did you receive this award from someone or you came up with the idea of it?